RebelMouse: Bloggers Can now build their Social Website! “RebelMouse” is the new web service launched by Huffington Post CTO “Paul Berry”. It’s a free service that organizes your online presence into a sleek, beautiful, and dynamic social site. Currently the “RebelMouse” service is in beta, and new features are constantly being added. People make personal websites, but these personal pages are often neglected and are a source of constant embarrassment. Well, worry not. RebelMouse is there for you. RebelMouse links your Facebook, Twitter, Google+, Instagram, LinkedIn, Pinterest and more of your social sites to your RebelMouse page and publishes the content that you shared on these social network sites. You can then add content (Posts, Videos, and Images etc.) directly to your page, plus you can customize and rearrange your posts. The resultant is a sleek, good looking, social page that updates dynamically with your social network. In short, RebelMouse can be used to automatically generate a personal page with content that it pulls from your social networks. A Front Page for their Blog: RebelMouse can create a dynamic, social front page for your blog that showcases not only your blog posts but what you're sharing on social. Replace (or start) their Blog: RebelMouse allows you to mix in curated content from social with your own original posts. RebelMouse can become your blogging platform -- add posts from links, video, photos and/or text. You can freeze posts you care about towards the top of your RebelMouse and you may choose to do this with your original content. : RebelMouse is an easy way to create a dynamic company site that updates as you share on social networks, but allows you the flexibility to keep certain content like a job opening or new product launch towards the top. RebelMouse is your social site: RebelMouse is your social front page and automatically updates as you post on social networks as well as when you blog directly on your site. Newsletter: Just keep being awesome on Twitter, Facebook, Instagram or any other network you have connected to RebelMouse and you'll have a great newsletter that's easy to share and anyone can subscribe to your newsletter. RebelMouse boosts corporate websites by amplifying and highlighting your brand’s social presence. Who has the time and money to update their website. By embedding a RebelMouse page, your website is dynamically updated. It allows you to connect the organic social media conversation around your brand with the content that you are producing. If you are organizing an event, worry not. RebelMouse has got your back. RebelMouse is an awesome way to gather all the activity going on at your conference or event. Your social, real-time site at RebelMouse.com/You. 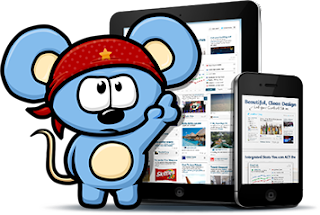 Embed your front pages on your own domain with clear RebelMouse branding. Drag and drop posts to any spot on the page and freeze in a certain spot to control your front pages. Bring all your social efforts together across Twitter, Facebook, Pinterest, Tumblr, Flickr and dozens of others. Launch Rebel Nav - navigation and sub-pages within your RebelMouse site. YourName.com powered by RebelMouse. Bring your RebelMouse to your own Domain Name, where you will instantly have a dynamic, social site. Advanced embed controls including controlling RebelMouse branding such as the Following, Featured and About modules. Full publishing solution on your own domain and identity. Publish blog posts, slideshows, video and more directly to your site. Custom CSS controls let you have your own look and feel. RebelMouse is currently in beta, and hundreds of thousands people are using this service. RebelMouse adds a new dimension to Facebook and Twitter. It is not a new social network; infact no one actually wants another social network in their lives either. It is actually a compilation of all the current social networks, which spices up your website. Wow thats amazing news finally Huffington started rebel mouse service for all bloggers. truly thumbs to MBT. This is great, this is my first time to heard rebelmouse, i will try this. thanks for the info. great news for bloggers.. will try this rebelmouse today.. I think great service. But price is too much. Thanks for this post qasim bro. I will surely try it but I agree with the statement of Mehul. A designer always want to create his website according to his thinking. Does it have a place for a custom template??? RebelMouse is currently in beta, and hundreds of thousands people are using this service. Does this Service still works?